March 2nd marks Dr. Seuss’ birthday and Read Across America. 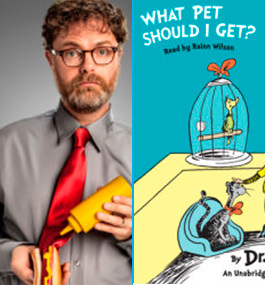 Celebrate Dr. Seuss’ birthday with audiobook collections read by star narrators. Random House Children’s Books and the National Education Association (NEA) urge you to participate in the annual Read Across America celebration. 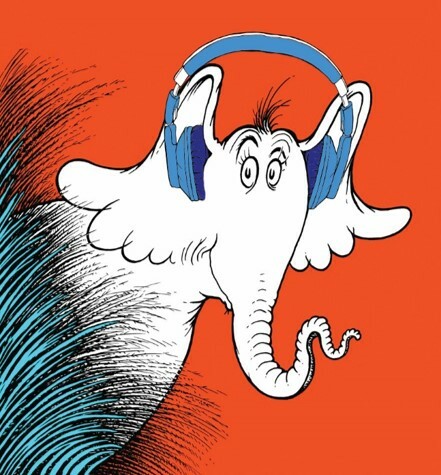 Dr. Seuss’ audiobooks are perfect for young children. His engaging stories and enduring characters lay the foundation for reading and listening skills. When children listen to Dr. Seuss titles on audio they’ll hear demonstrations of fluent reading,appropriate phrasing, intonation, articulation–and have lots of FUN along the way! Over 26 stories are available in collections and as single story audiobook downloads featuring an all-star cast of narrators that includes Rainn Wilson, Dustin Hoffman, John Cleese, Angelica Huston, and more. Add in music and sound effects and these whimsical stories are sure to delight and entertain children of all ages. Take a listen to these Seuss classics, read by your favorite celebrity narrators! WHAT PET SHOULD I GET? What happens when a brother and sister visit a pet store to pick a pet? Naturally, they can’t choose just one! The tale captures a classic childhood moment–choosing a pet–and uses it to illuminate a life lesson: it’s hard to make up your mind, but sometimes you just have to do it! A follow-up to The Bippolo Seed and Other Lost Stories, this collection features familiar Seussian faces and places—including Horton the Elephant, Marco, Mulberry Street, and a Grinch—as well as an introduction by renowned Seuss scholar Charles D. Cohen. Seuss fans will learn more about Horton’s integrity, Marco’s amazing imagination, a narrowly avoided disaster on Mullbery Street, and a devious Grinch.